Mama’s got a brand new ride. 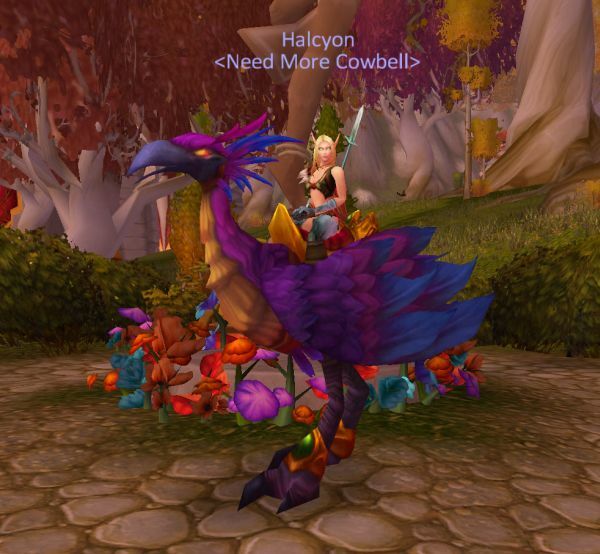 That’s the Mrs., and she was rather pleased last night to ding 40 and pick up not one, but two new mounts. A black war stallion and a purple hawkstrider. When business calls, go in style, and armor plate. Otherwise enjoy the basic pleasure model. This entry was posted in Droonda, Paladins, Screenshots. Bookmark the permalink. 3 Responses to Mama’s got a brand new ride. That is one hot blood elf. I was going to apologize for all the double entendres, but it’s par for them, of course.